The Vecitis Lab is located at 58 Oxford Street is occupied and operated by the School of Engineering of Applied Science (SEAS), in a four-story glass, steel and concrete structure that provides research and office space to support efforts in fluidics, soft condensed matter and advanced sensor research. The Vecitis Lab renovation project is a 960 square foot renovation of existing research space located on the second floor of the 58 Oxford Building and includes reconfiguring the existing space to meet the programmatic requirements of the researchers, updating finishes and furnishings, and increasing the efficiency and quality of the lighting, heating, ventilation, and air conditioning controls. A sustainability charrette held with the design team and representatives from SEAS including the building manager and occupants identified key sustainability goals for implementation. 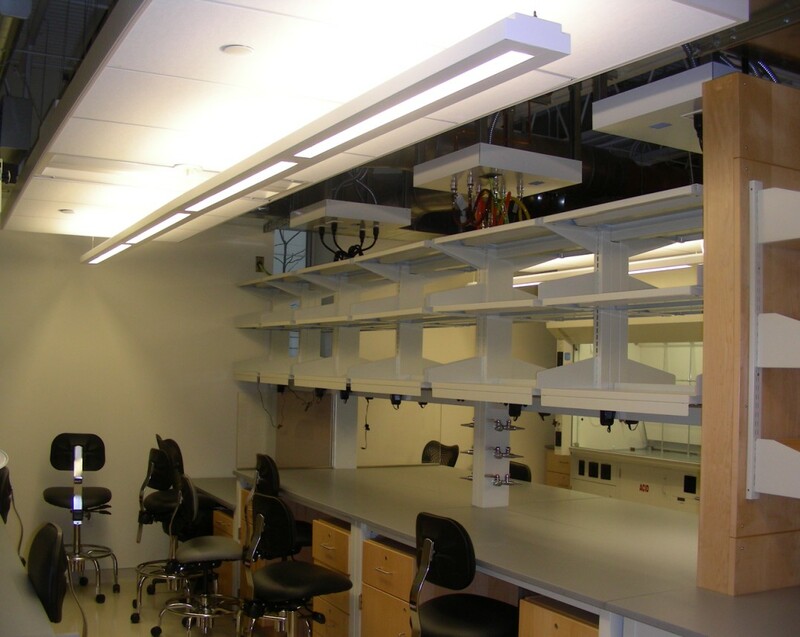 An ASHRAE Level II Energy Audit was performed to identify opportunities to increase building energy efficiency and many of these recommendations were incorporated into the renovation of the Wyss Institute project. New fan coil units, variable air volume boxes, fans, fume hoods, and new automatic control points to allow for automated mechanical system controllability were added, and lighting was upgraded with efficient fixtures. Lifecycle costing was used to evaluate recommended Energy Efficiency Measures and the project has earned a LEED-ID&Cv3.0 Platinum certification.